Now.. He invent his robot to help him, but it help him in a wrong way. Wrong so many levels. Hope you like him, and his robot.. and YES! Thanks to my Lapazz again. 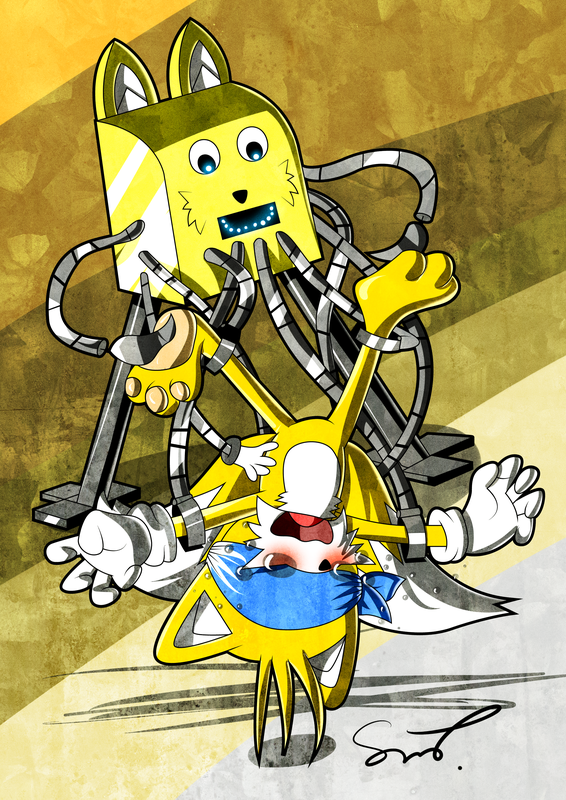 Tails is being attacked... by a happy meal box?